A sea urchin is a small round creature with spines covering it completely. It used to be called a sea hedgehog because of its spines. In fact, “urchin” is an ancient word for hedgehog. Its Latin name is Echinoidea. There are apparently almost 200 different species of sea urchins, which are mostly found on a rocky seabed, or in coral reefs. Their favourite food is algae, but they will eat plant and animal matter. Although they can live up to 200 years, common life expectancy is 15 years. Sea urchins are a delicacy in many parts of the world, not only in Catalonia. The Japanese call them “uni” and prepare them for sushi. There is definitely a knack in opening these spiny creatures as they have quite a sting. If you are not used to them, wearing gloves is good idea and it may take some practice to open them cleanly to expose the orange gonads, which are quite delicious. 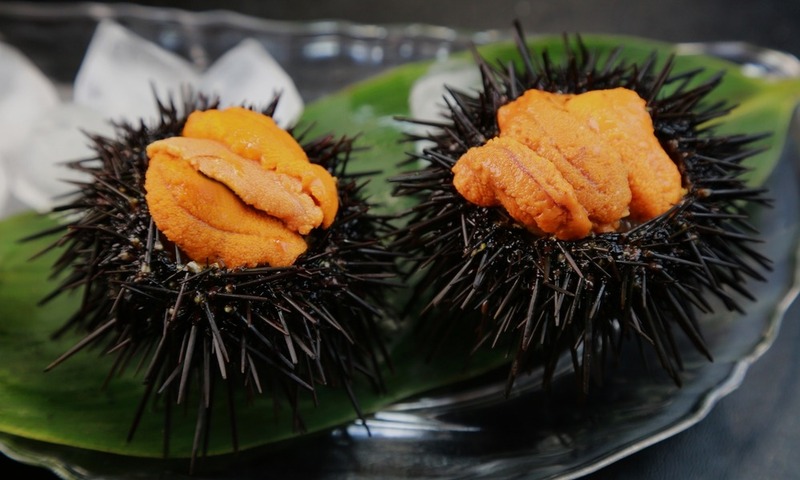 Certain restaurants in and around the town offer special menus between January and March, which is the sea urchin season. The garoines are eaten raw, rather like oysters, and they slip down easily, tasting strongly of the sea. You will usually be served six or 12 on a plate, opened and ready to eat as a starter. They have been enjoyed along the Costa Brava for centuries, and are still sought after by locals and foreigners alike. Sea urchins, a delicacy from the sea bed. The special menus will continue with a main course, which changes annually, featuring a locally produced meat or fish – perhaps a stew with artichokes or a rice dish with seafood and onions, followed by a dessert. The meal is accompanied by good local D.O. Empordà wines. These menus are not the daily €12 lunch menu, and it is the better restaurants that offer them, so you can expect to pay between €35 and €45 per person, including wine. It is a once-a-year treat for most people, although you can buy garoines at the fish market, and, providing you know how to open them, enjoy them at home. Some fishmongers will open them for you at an extra charge. The garoines are eaten raw, rather like oysters, and they slip down easily, tasting strongly of the sea. You will usually be served six or 12 on a plate, opened and ready to eat as a starter. If you have never tried a sea urchin, don’t be put off by its appearance. The taste is delicate, and, once tried, it can become a favourite. Spain has numerous local festivals like the Garoinada to celebrate locally –sourced foods either from the sea or inland, and you should never miss an opportunity to join in, as you will undoubtedly discover some wonderful dishes you never knew existed, like the humble sea urchin.